Time to get knotty with 4M! 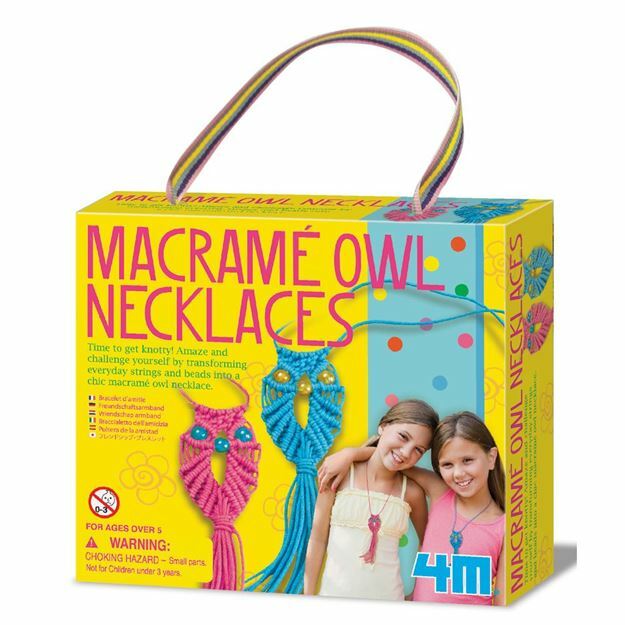 Amaze and challenge yourself by transforming everyday strings and beads into a chic macramé owl necklace. Age 5+ years. Distributed in New Zealand by Holdson.